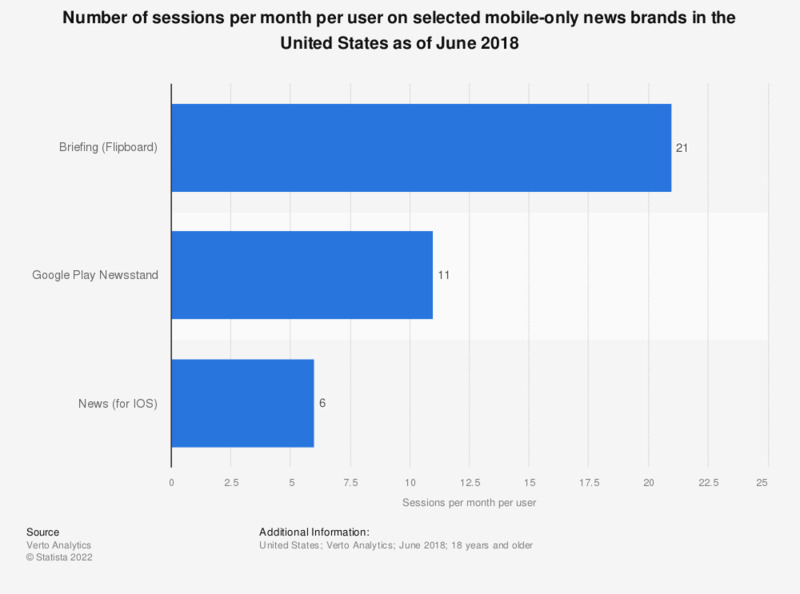 This statistic gives information on the most popular mobile-only news brands in the United States as of June 2018, ranked by sessions per month per user. According to the source, users of Briefing (Flipboard) accessed its content around 21 times in any given month. What were the ways you came across online news in the last week? Which website/app do you think is the best in news? Which website do you trust the most?